Big women have a nearly threefold greater risk of atrial fibrillation than small women, according to research presented at EuroPrevent 2017. The study included 1.5 million women who were followed-up for more than 30 years. 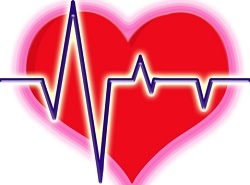 Atrial fibrillation is the most common heart rhythm disorder, with a 20% lifetime risk. It occurs most often in people over 60 years of age and increases the risk of stroke and heart failure. The study included 1 522 358 women with a first pregnancy aged 28 years on average. Data on weight early in pregnancy, height, age, diabetes, hypertension and smoking were obtained from the Swedish Medical Birth Registry. Information on hospitalisation with atrial fibrillation was collected from the Swedish Inpatient Registry. Body surface area (BSA) in m2 was calculated by a standard formula based on weight and height. Women were divided into four groups according to BSA: 0.97–1.61, 1.61–1.71, 1.71–1.82, and 1.82–3.02 m2. During a maximum follow up of 33.6 years (16 years on average) 7 001 women were hospitalised with atrial fibrillation at an average age of 49 years. Compared to women in the lowest BSA quartile, those in the second, third, and fourth (highest) quartiles had a 1.16, 1.55 and 2.61 times increased risk of atrial fibrillation, respectively, after adjustment for age at first pregnancy, diabetes, hypertension and smoking. BSA is influenced by both height and weight. Compared to women with the lowest BSA, those with the highest BSA were 9 cm taller (161 versus 170 cm), 28 kg heavier (54 versus 82 kg), and had a higher body mass index (BMI: 21 versus 28 kg/m2).